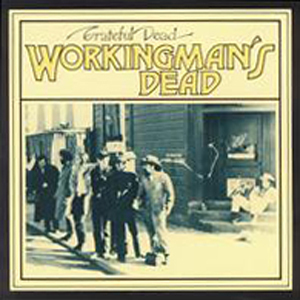 Workingman's Dead is the fourth studio album by the Grateful Dead. It was recorded in February 1970 and originally released on June 14, 1970. The album was reissued in 2003 in three different ways; as part of the The Golden Road (1965-1973) 12-CD box set, as a remastered and expanded CD, and as a DVD-audio release. The first two contain eight exclusive tracks not found on the original 1970 release while the latter contains just the original tracks rendered in DVD-audio.